We are located right in the heart of Texas. We are open to the public and serve Temple, Belton, Harker Heights, Killeen, and surrounding areas. We strive to provide the best gear at the best prices. 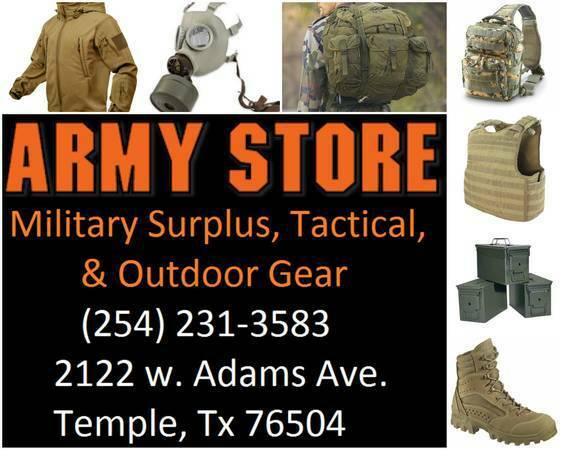 This is a family business that is Veteran owned and operated. Feel free to stop by or give us a call. We are open from 11am to 5pm Tuesday through Saturday.